Berlin has a lot of great vietnamese restaurants. You can find them all over town and the best ones are mostly hidden in the less popular streets. Manngo is one of these vietnamese places who did not choose their location based on a popular touristic attraction. 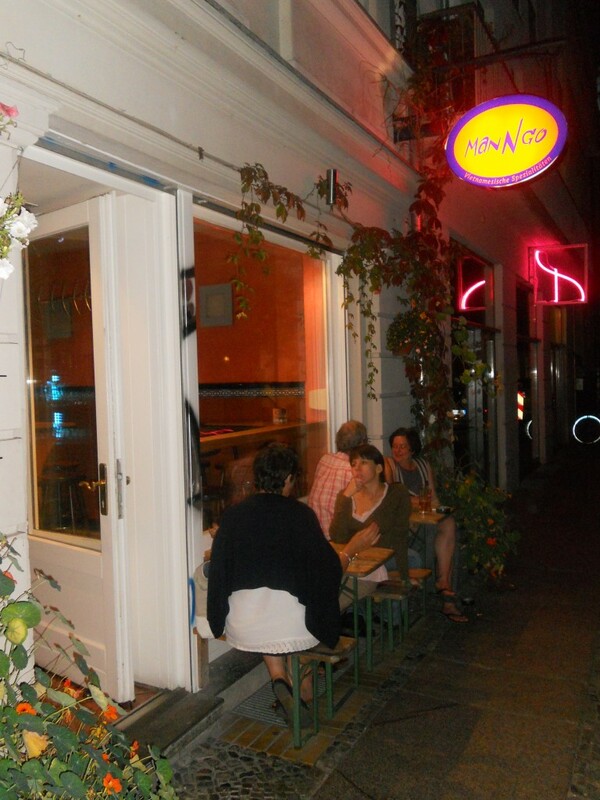 The restaurant is located in the Mulackstrasse, a small street about 10 minutes away from Station Hackescher Markt. This restaurant might not be close to a touristic attraction but it is still worth visiting if you like tasty food. Although the street might not be very attractive for tourists, the area around it certainly is. If you never visited Hackescher Markt, you could definitely combine it with a visit to this vietnamese Restaurant. The area is great if you like shopping, has plenty of nice bars and every Thursday and Saturday you can find a small market here. The market mainly offers food but also handmade crafts and touristic things. From the market it is just another 5 minutes walk to Manngo. In the Netherlands, where I was born, you do not have a lot of vietnamese Restaurants. The asian restaurants you can find are mostly quite expensive: you can easily pay around 15-20 Euro a person for a main dish. Luckily the culture of Asian restaurants in Berlin is totally different. Here, most Asian restaurants are small, simple and very cheap. You can eat a main dish for about 6-8 Euro and it always tastes delicious. This is also the case in the Manngo: You can have a starter, a nice main course and a drink for not much more than 10 euros. Fresh ingredients, vietnamese specialities and plenty of interesting herbs: These are just a few keywords that come up when I think about the vietnamese restaurant Manngo. The restaurant offers awesome Noodle-Soups, homemade springrolls and plenty of tasty curries. All of them are prepared by Asian people who know what they are doing. There is plenty of choice on the menu but also differing dishes on the week-menu. All in all you will definitely find something you like over here. 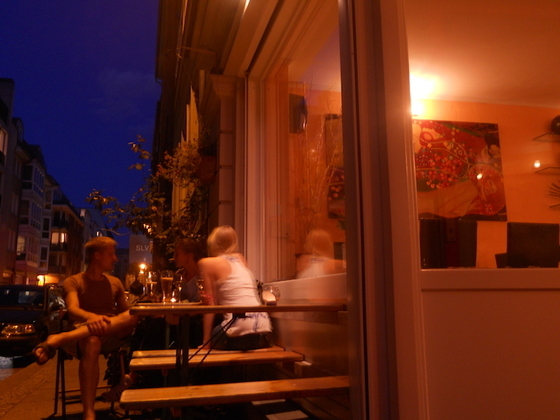 The Manngo is a small restaurant and in the summer it is great to sit outside at one of the wooden tables. The tables are perfect for two people but inside there is place for more people. 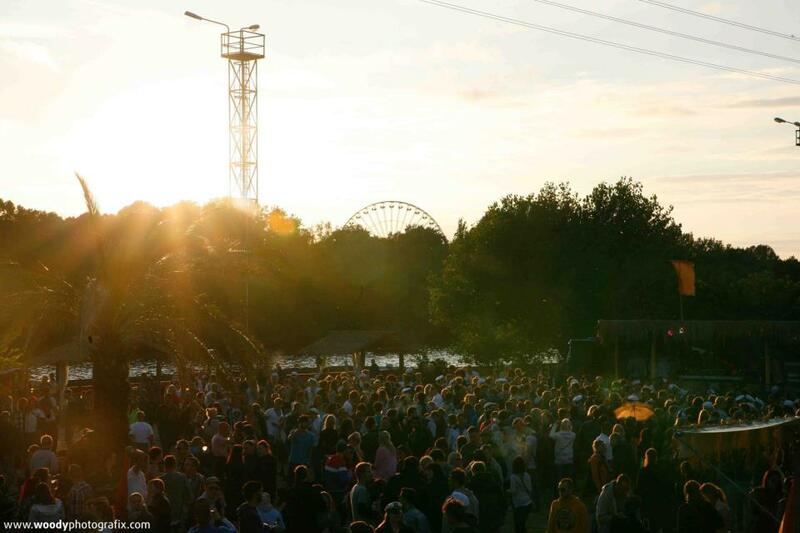 In the summer, the Mulackstrasse is very peaceful and you will almost forget that you ar in a large city like Berlin. 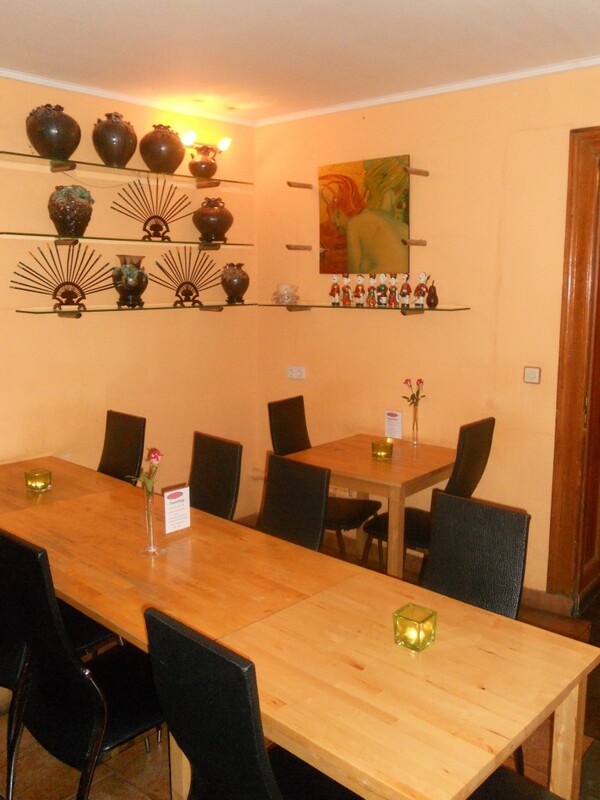 The Manngo has friendly staff, the food is delicious and the location is easy to reach but not in a very touristic street. If you do not like asian food, you can also decide to have a homemade burger in Berlin Friedrichshain. The S-Bahn station Hackescher markt is easy to reach from most locations in Berlin. After arriving here, you can follow the Rosenthalerstrasse till you see the Gormannstrasse and when you follow this street you will see the Mulackstrasse on your right after about 100 metres. If you prefer traveling by underground: Weinmeisterstraße station is also within walking distance from the Manngo.